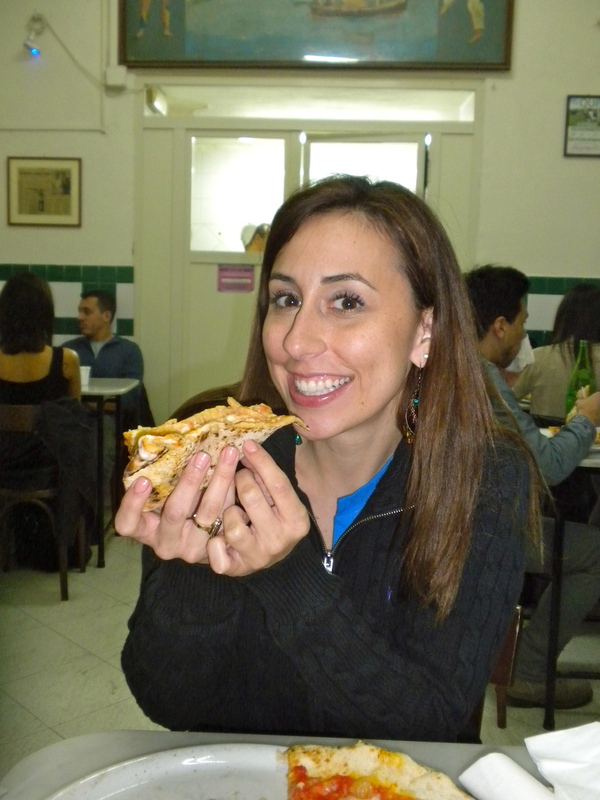 One of my favorite countries to visit is Italy, and one of my favorite places to go in Italy is to Napoli. For what? For pizza, of course!! L' Antica Pizzeria da Michele, established in 1870 is one of the most well known pizzerias in all of Italy, famous for authentic classic Neapolitan style Margarita pizza. The pizza they make is so delicious that daily at around noon a line will form and it will last straight through the evening. The men that make this pizza treat it as an art form, as they carefully and skillfully whip these bad boys up in a matter of minutes… so if you're in a rush on your way back to the train, a great way to try it is to place a to go order (you will only wait 5 minutes, I promise). Another way to beat the line? Show up at 11am when they open… the place is practically empty. It will be completely full by the time you leave, however. The one drawback? This will forever ruin your relationship with any other pizza, and you will become a pizza snob after you try this little slice of heaven. Fun Fact: This is the same place that Julia Roberts stuffs her mouth with this Italian delight, in the film "Eat, Pray, Love". -Baba Rums's, a classic Neapolitan treat made of a spongy cake and doused in a sweetened rum concoction. -The ferry to the beautiful island of Capri.